A quirky and fun variation of the popular 'shithead'. Played in groups from 2 to 5, this game is dynamic, strategic and it creates enthusiasm among everyone. 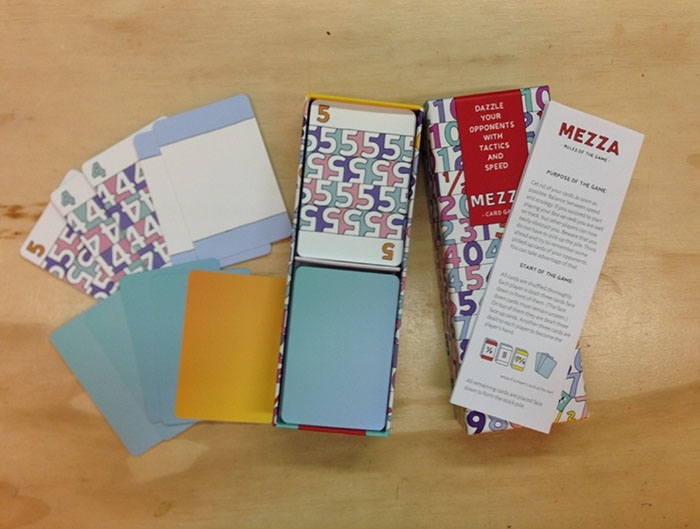 Mezza has unique cards with a colourful design and the game has new exciting rules. 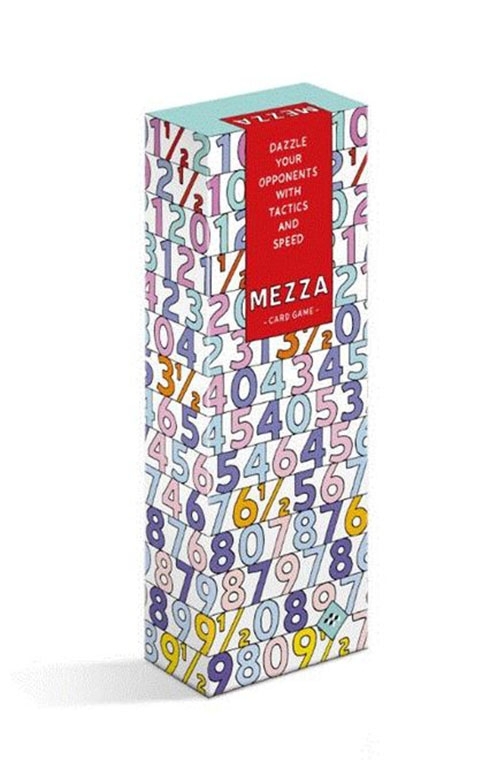 Mezza means "half " in Italian - and in this game the ½ card is key. It is the lowest card in the game, but it can suddenly become the highest. Play your cards strategically, think fast, think ahead and become the first to get rid of your cards.